Dr Nick Kimber is personalised nutrition and health specialist who empowers people to create an ideal environment for their genetic makeup, so they can have the best foods, fitness and lifestyle for their unique health type. 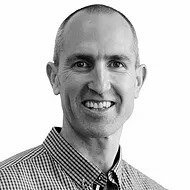 Nick has a PhD in post-exercise fat metabolism from Deakin University, Melbourne and also holds a Masters degree that focused on nutritional responses during the New Zealand Ironman Triathlon. During his academic career, Nick has published a number of studies in peer-reviewed journals and presented research at international conferences. Nick is a highly regarded national and international presenter and accomplished educator in sport science and human nutrition. As an athlete, Nick has competed in numerous multisport and cycling events and enjoyed success in mountain biking by winning a bronze medal in the 2002 World Masters Games.